For today’s deals roundup, we have found out some best tech deals on Paytm Mall under Rs 2,000. 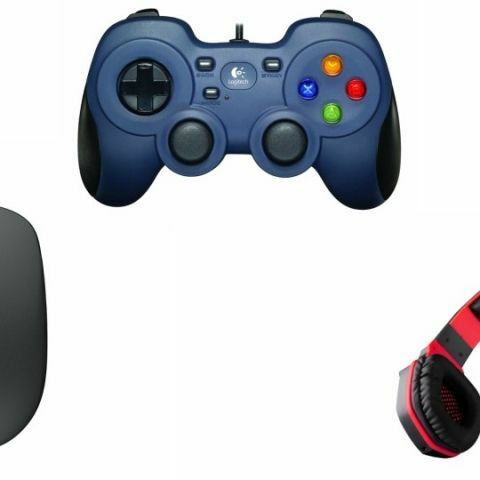 The list includes Bluetooth earphones, gaming controller, computer accessories and other products. Today’s deals roundup consists of some of cool gadgets that are available on Paytm Mall for less than Rs 2000. The list contains products from well-known manufacturers like Logitech, boAt and more. The Logitech F310 GamePad is compatible with Windows systems. The controller features a 4-switch D-pad and 10 programmable buttons, which can be customized through software installation. You can purchase this device here. If you are thinking about replacing your wired headphones with wireless ones, then boAt Rockerz 510 will might be a right choice to go with. These over-the-ear headphones weigh around 200gms and feature an inline remote that lets you manage tracks and volume easily. As per the company, the headphone can deliver ten hours of playback on a single charge. You can purchase this device here. The Dell WM126 Wireless mouse is available in a variety of colors such as red, blue, black and white. The mouse connects to PC via a nano receiver that can be connected to up to six devices at once. The company claims that the battery will last for one year. You can purchase this device here. The SanDisk 32GB OTG Pen drive features a USB 3.0 connector on one end, and the micro USB connector at the other, which lets you transfer the files of your Android device to computer easily. As per the company, it can transfer the data at the rate of 130MB/s. You can purchase this device here. The Portronics Sublime III features Bluetooth 4.0 technology and also lets you stream music via AUX and microSD cards. The device is also equipped with an alarm clock and built-in FM. You can purchase this device here.